In the summer of 2020, Tokyo will once again host the Olympic and Paralympic Games. It’s the first time the Paralympics will be hosted by a city for the second time. More than half a century has passed since Tokyo last hosted the games in 1964. It’s a very different city than it was back then. Many train and subway stations in Tokyo now have elevators and an increasing number of facilities have special bathrooms that can be used not only by those in wheelchairs but also parents wanting to change their babies’ diapers. There is high expectation the Tokyo Games will be an opportunity for the city to become truly barrier-free — both physically and emotionally. 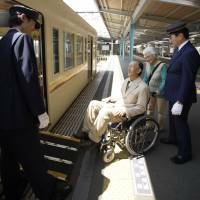 Upper House lawmaker Seiichi Eto, who has been actively involved in supporting people with disabilities for more than 40 years, says the 2020 Olympic and Paralympic Games offers Japan an opportunity to showcase its progress in dealing with access issues. Eto first encountered the community of disabled persons in the 1970s. A woman who had a child with an intellectual disability asked Eto if he could help integrate such people into society better. The woman told Eto that people with intellectual disabilities were typically placed in special facilities or simply kept at home, completely isolated from society. 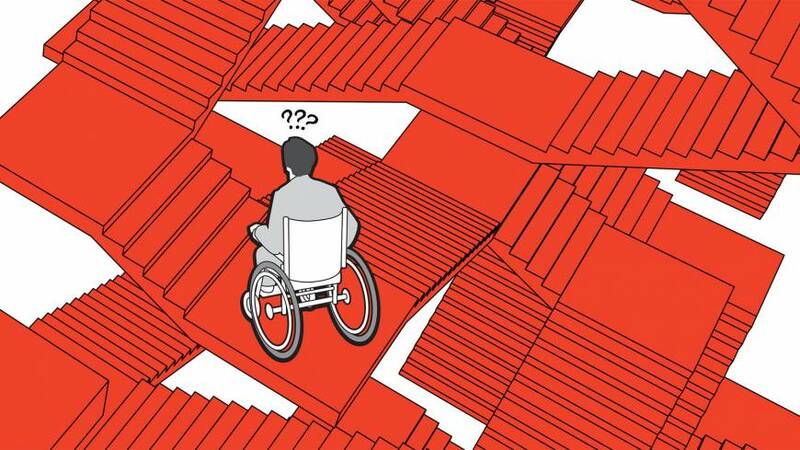 Gihei Takahashi, an architect and professor at Toyo University in Saitama Prefecture, has also been working with people with disabilities to increase the number of barrier-free facilities all over the country for more than 40 years. In the 1970s and ’80s, Takahashi says, the footpaths were uneven and peppered with potholes. Worse still, buses didn’t allow for wheelchair access, and barrier-free bathrooms were nonexistent. Anyone who needed to use a wheelchair to travel would start limiting their fluid intake a few days before their journey so that they didn’t have to use a bathroom en route. Takahashi says Japan had been 20 to 30 years behind European countries at that time but since then, a number of prefectures have developed barrier-free facilities, putting cities such as Tokyo among the best in the world. 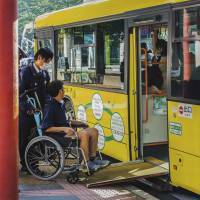 Japan, however, has continued to lag behind other countries in terms of the legal framework that exists to promote universal access in buildings and public transportation. 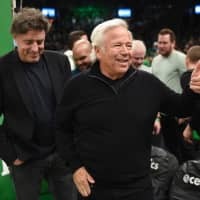 The first major piece of legislation that was enacted to tackle the problem was 1994’s so-called “Heart Building Law,” which introduced, among other things, standards to reduce barriers in buildings so that they could be more accessible to the elderly and those with physical disabilities. 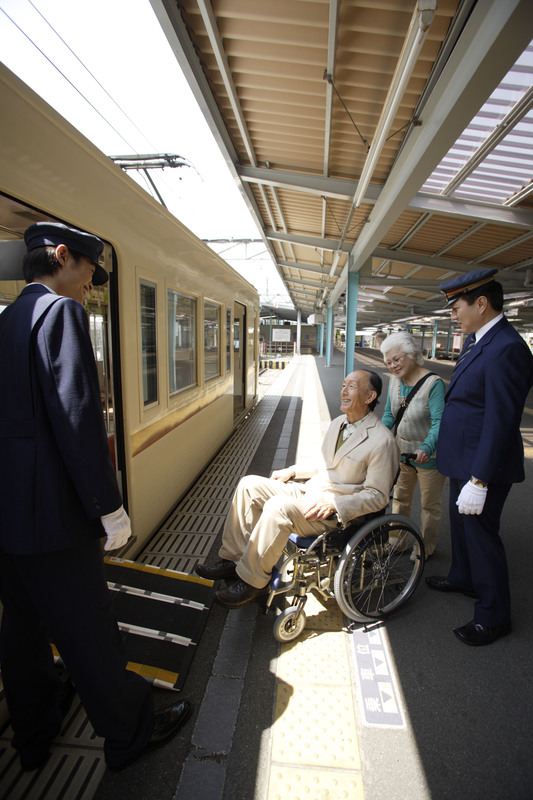 Six years later, the government passed legislation on barrier-free transportation to promote accessibility in stations, as well as on trains and buses. Lawmakers then began to focus on the universal design movement in an attempt to provide everyone with access, and enacted a new universal barrier-free law in 2006 to incorporate aspects from the two earlier pieces of legislation. 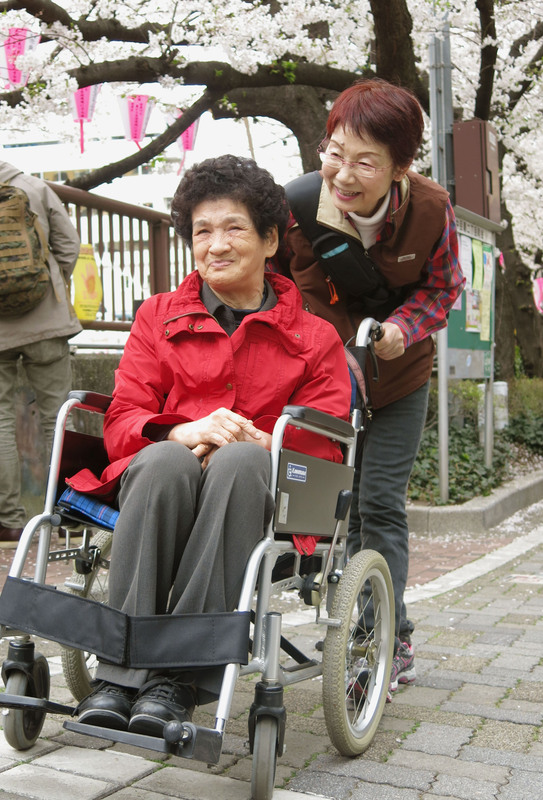 Japan ratified the 2006 U.N. Convention on the Rights of Persons with Disabilities in 2014, under which signatories are obligated to take various measures to prohibit all forms of discrimination against people with disabilities and protect their rights to employment, education, social and security. 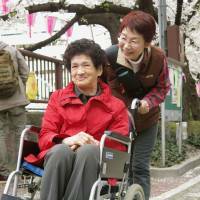 Related legislation has since been enacted in order for Japan to meet its obligations under the treaty, including a law that prohibits discrimination against people with disabilities, which is set to take effect in April 2016. Eto, who is a special adviser to Prime Minister Shinzo Abe, says this law represents a major step forward. The law stipulates that individuals and agencies must make an attempt to remove any sort of “social barrier” that people with disabilities face. Government agencies are obliged to do this, while private entities are merely required to make an effort. Eto says it’s important for everyone to make an effort to meet the standards rather than condemn those who are unable to. Best-selling author Hirotada Ototake, who was born without arms or legs due to a genetic disorder called tetra-amelia syndrome, has had his fair share of experience with discrimination. In one such incident, an Italian restaurant in Tokyo turned Ototake away from the establishment when they realized he was in a wheelchair — despite the fact he had made a reservation in advance. The restaurant is located on the second floor of a building that was not serviced by an elevator. Instead of trying to find a way to accommodate Ototake, the restaurant employees said they were all too busy to deal with the author and that Ototake should have told them in advance that he would be coming in a wheelchair. 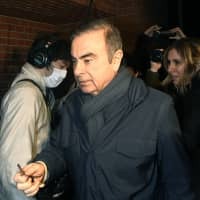 The restaurant came under criticism after Ototake recounted the incident on Twitter, forcing the restaurant owner to post an apology on his blog. In the future, the restaurant owner added, he reminded customers to inform the staff in advance if they intended to come in a wheelchair. 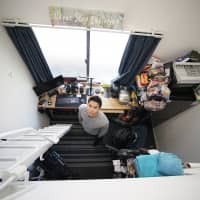 Ototake is aware that it’s practically impossible to make all spaces barrier-free, but building owners needed to appear as if they were making an effort to accommodate people with disabilities. Ototake became the head of Universal Communication Labo, a newly founded think tank, in autumn last year. He wants to use the upcoming 2020 Olympic and Paralympic Games to create a truly diverse society that is more inclusive than exclusive. “Being different is very often perceived as noneffective and a bit of a nuisance but, the truth is, diversity is an asset,” Ototake says. 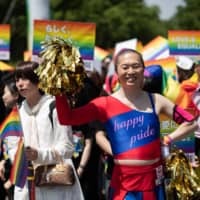 With the Olympics and Paralympics just over five years away, there is not much time for Tokyo to get ready to welcome its guests from around the world. In December, Tokyo Gov. Yoichi Masuzoe unveiled a long-term policy framework for the city. 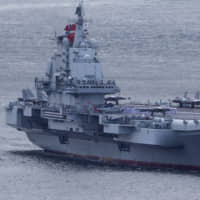 In it, he calls for the construction of barrier-free hosting venues, press centers, athletes’ quarters and the surrounding areas, as well as multilingual signs at hotels, restaurants and all public hospitals. He wants to expand free Wi-Fi services and remove telephone poles around the venues. 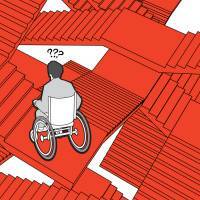 The Tokyo Metropolitan Government, in conjunction with the central government and the Tokyo Organizing Committee of the Olympic and Paralympic Games, has created a panel that will draft guidelines on accessibility that must be approved by the International Paralympic Committee. 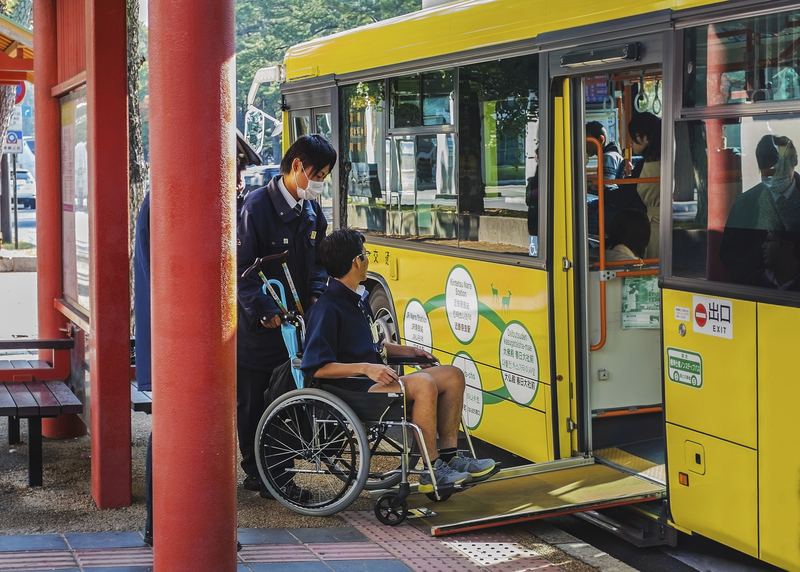 “Tokyo has proactively been working to increase the number of barrier-free facilities but the IPC standards are likely to be even higher because there is going to be a lot of people visiting with many different needs,” says Eiichiro Kodama, senior director of the Tokyo Metropolitan Government’s Olympic and Paralympic Games’ planning section. According to Kodama, the panel will likely end up with two separate temporary guidelines: one focusing on barrier-free buildings that should be drafted by spring, and another focusing on related services such as signage a year later in order to push the regulation through faster. It is important to ensure the facilities that are built for the games are not wasted. And Tokyo has a tough role model to follow — the 2012 London Paralympic Games has been labeled as the best Paralympics in history. “We need to take this opportunity to create an even higher barrier-free standard for Tokyo and to make sure that the Olympic and Paralympic Games leave behind a legacy for the future,” Kodama says.